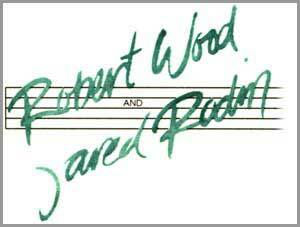 Jared Rodin and Robert Wood provide top quality bands and orchestras for live performance and recording. For over 10 years, Wood & Rodin, Inc. has been the source of professional musical ensembles for many top studio producers and star entertainers. As a Wood & Rodin client, you can expect honest communications, competitive pricing, expert project management and the friendly courtesy of the Midwest's finest musicians. Jared and Bob can help you through the maze of music production, providing sound advice and a multitude of resources to help you complete your musical project on time and within budget while surpassing your aesthetic expectations. Ask about the Indianapolis Festive Brass...a brass ensemble comprised of Indianapolis' finest brass artists performing classical and popular music.